With modern benchrest guns capable of shooting “zero” groups in competition, one wonders what is next in the accuracy game. Perhaps laser rifles? Well, the U.S. Navy believes high-tech lasers may replace projectile weapons in the future — the very near future. In fact, the Navy has already successfully tested a deadly laser cannon. The Naval Sea Systems Command (NAVSEA), with support from Naval Surface Warfare Center (NSWC), successfully tracked, engaged, and destroyed mock-threat Unmanned Aerial Vehicles (UAVs) flying over the ocean. 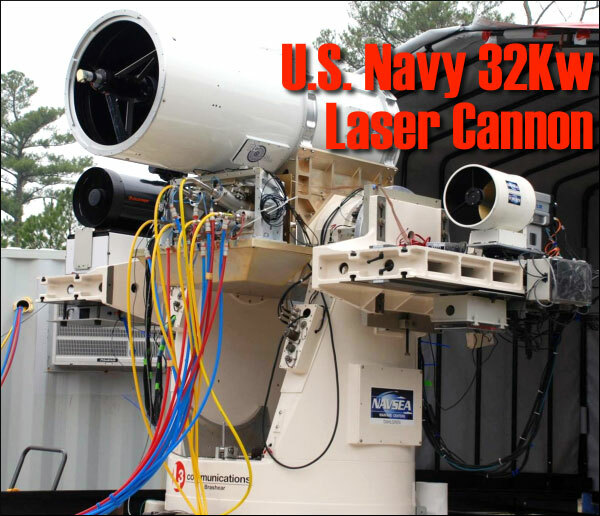 The Navy’s new “Death Ray”, actually a high-intensity (32 Kw) laser, was aimed using a beam director on a KINETO Tracking Mount, controlled by a MK 15 Close In Weapon System (CIWS). Watch the video below to see delta-winged UAV “splashed” by the Navy’s new “Death Ray”. CLICK HERE for Related Scientific American Story. Share the post "U.S. Navy Shoots Down Target Drones with Laser “Death-Ray”"
Last year saw a significant 5.4% increase in the number of female hunters in the United States — that means 163,000 new ladies hunting with firearms and/or bows. In fact, in 2009 the rate of increase in hunting participation is higher for women than for men, according to new figures from the National Sporting Goods Association (NSGA). Data also show that women outpaced men among newcomers to target shooting. Female participation in rifle target shooting grew by 4.1%. That’s a big change in a single year. The number of women involved in Muzzle-loading activites showed a remarkable 134.6% annual increase. 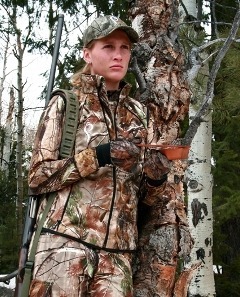 Photo courtesy Próis hunting clothing for women. Share the post "Hunting and Target Shooting Grow in Popularity Among Women"